Each year the Bowlus Fine Arts Center provides school aged children the opportunity to see a live performance on the Bowlus stage – free of charge. 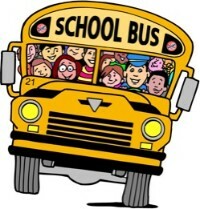 Students enrolled in Allen County public schools (Humboldt USD #258, Iola USD #257, and Marmaton Valley USD #256) are invited through their school principals. Students enrolled in neighboring rural school districts are invited to attend as seating is available. SEE SCHEDULE. 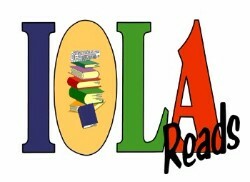 IOLA READS is a cooperative project between the Iola Public Library, USD #257 schools and the Bowlus. Major funding is provided by the Sleeper Family Trust and the Helen Gates Whitehead Trust through the Bowlus Fine Arts Center. LEARN MORE about the current project. 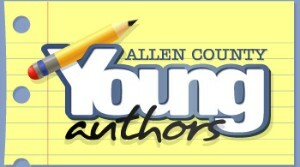 The Allen County Young Authors program is a cooperative effort between the public schools in Allen County (Humboldt USD #258, Iola USD #257, and Marmaton Valley USD #256) with financial support provided by the Sleeper Family Trust through the Bowlus Fine Arts Center. The program encourages students to write and illustrate books with support from their classroom teachers and parents and annual author visits provide the opportunity for participates to meet and engage with the authors and illustrators of some of their favorite books! There is not an event scheduled for 2019.